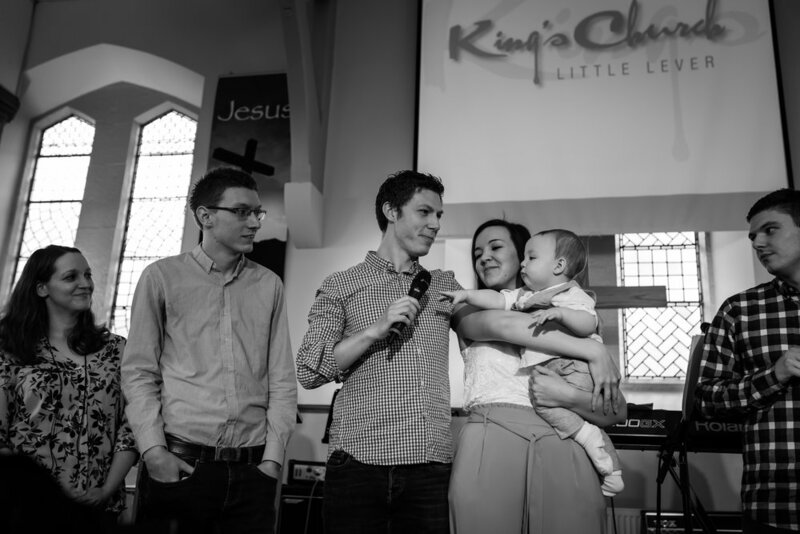 A couple of weeks ago, I had such a lovely time with Rachel and John, and the huge congregation at King's Church Little Lever, in celebrating Reuben's dedication. Although much of the photography I do is weddings, I do love to use my skill set of capturing natural, informal pictures of pure emotion during other events too and this was the perfect opportunity. As you can see, there was a huge heap of emotion and passion throughout the ceremony (bar Reuben, who was poorly, bless him, the night before!). It really made for some lovely, natural shots of the family. Some of my favourites are the ones where he is clearly nonplussed with the celebration but everyone around him is really full of passion. The preach, by John's brother, was incredibly powerful and centered around 'names' and their meaning. The first question, to open the preach, was did anyone know the meaning of Phillip. Well, being Phil myself, of course my hand darted up. Friends take great delight in reminding me of the 'horse loving' nature of my name. From there, the preach looked at different names and our destinies and really had a lot of powerful moments. Shamefully, I can't remember the meaning of Reuben (I was too busy taking pictures and reflecting on Phil), but according to Baby Center, it means 'behold, a son!' in Hebrew. Following the preach, the family invited guests and the congregation to remain in church and have some food and cake. Love and blessing to all of the family. 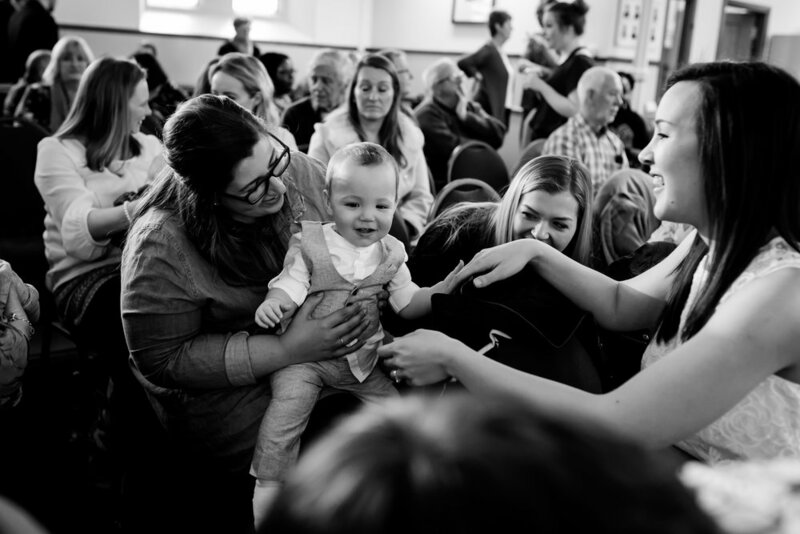 I am a photographer working from Oldham who specialises in capturing relaxed, natural and emotion filled imagery. Whether you are after a photographer for your wedding, party, ceremony, christening or just natural, informal, family portraits, get in touch.